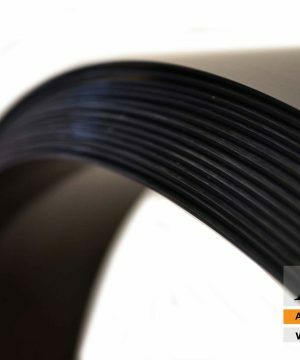 Super laminates are a frog leap development in FRP products since the introduction of FRP in construction industry some twenty years ago. They overcome the shortcomings of the abovementioned laminate strips. As discussed below, these products make possible many applications that have challenged the construction industry for decades. In some case, the solutions have not been possible without the development of super laminates. Super laminates are constructed with specially‐designed equipment. Sheets of carbon or glass fabric up to 60 inches (1.5 m) wide saturated with resin and passed through a press that applies uniform heat and pressure to produce the laminates. 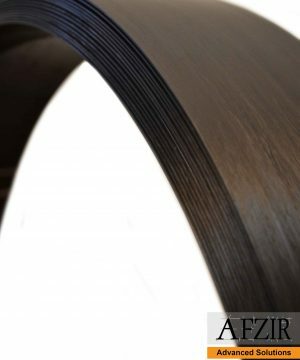 The flexibility of the super laminate is demonstrated by coiling it in smaller diameters and by easily folding a corner of the large carbon panel. Super laminates can be produced with highest quality control under ISO 9000 certification; this will provide a leapfrog advance in wider acceptance of FRP products in construction projects. They are much thinner than conventional laminates; with a typical thickness of 0.025 inches (0.66 mm), they can fit into a cylinder with a diameter as small as 8 inches (200 mm). The number and design of the layers of fabrics can be adjusted to produce an endless array of products that can significantly save construction time and money.